1) (Gilbert Black, Dean of Guild of Aberdeen, 1672). Ar. a saltire sa. betw. a mullet in chief and a crescent in base gu. a chief of the second. Crest—A demi lion ppr. Motto—Non crux sed lux. 2) (Wigtown, 1850). Ar. a saltire and chief sa. the latter charged with a passion cross betw. two pelicans in their piety or, in base a mullet gu. Crest—A star or, rising out of a cloud ppr. Motto—Spes lucis aeternae. 3) (Craigmaddie, co. Stirling, 1863). Ar. a saltire sa. betw. three martlets in chief and flank and a crescent in base gu., on a chief of the second three roses or. Crest—A demi lion ramp. ppr. gorged with a collar or. Motto—Non crux sed lux. 4) (Glasgow, 1863). Ar. a saltire sa. betw. three martlets in chief and flank, and a crescent in base, gu. on a chief of the second as many pheons points downwards or. Crest—A kangaroo sejant ppr. Motto—Via crucis via lucis. 5) (granted to Charles Christopher Black, Esq., of the Inner Temple). Or, a lion ramp. gu. in chief a mullet of six points az. betw. two boars’ heads couped of the second. Crest—A mount vert thereon a cat guard, ppr. holding betw. the paws an inescutcheon az. charged with a boar’s head erased or. 6) (Denniston, Scotland). Vert three boars’ heads erased or. 7) (Temple, Scotland). Ar. a chev. sa. betw. two mullets in chief and a crestscent in base gu. 8) Erm. a pile indented sa. bezantee, betw. a lion’s paw erased in chief and base gu. over all a bend vert. Crest—An arm embowed vested, purfled at the shoulder, the part above the elbow in fesse, the hand in pale, holding a branch of palm ppr. 9) (Westminster). Ar. a chev. sa. in chief three mullets and in base a crescent gu. 10) Az. a lion ramp. ar. on a chief of the last three mullets gu. Crest—A dexter arm in armour embowed, holding in the hand a scimetar all ppr. 11) (Edinburgh, 1880). Ar. a saltire sa. betw. a mullet in chief and three crescents in flank and base gu. Crest—A demi lion sa. Motto—Non crux sed lux. 12) (Haine, Lew Down, co. Devon; Robert Blackburn, Esq., of Palmiera, Madeira, and co. York, m. Mary, dau. and heir of Rev. Thomas Bellasysk, of Brampton Hall, co. Westmorland, and d. 1841, leaving two sons, Edward, who purchased Haine, 1867, and Robert (Rev. ), rector of Selham, co. Sussex. The elder, Edward Blackburn, Esq., of Haine, b. 1815, m. 1843, Charlotte, dau. of Nicholas Brooking, Esq., of Dartmouth, co. Devon, and has Edward Brooking Blackburn, b. 1844, and other issue). Ar. a fesse nebulee (originally undee or wavy) betw. three mullets sa. ; quartering, ar. a chev. gu. betw. three fleurs-de-lis, az. for Belasyse. Crest—On a ducal coronet or a demi lion ramp. ppr. holding in dexter paw a mullet sa. gorged with a plain collar ar. charged with three mullets of the third. Motto—Bonne et belle assez. The primarily Scottish and English last name Black has five main origin theories and meanings. First, this derives from the nickname “the black” referring to a person with a dark complexion or dark hair, perhaps a moniker given to the native Britons and Celts by the invading Saxons and Angles who began to come to the British Isles starting in the around 450 AD. Second, the name may be a reduced form of the occupational name Blacksmith, a person who worked with cold metals (as opposed to a Whitesmith, who worked with hot metals). The name derive from the Middle English word blak(e) and Old English blæc or blaca, meaning black. Third, it may be a spelling variant of the Norman surname Blanc. Fourth, in some instances it could be an Anglicized version of several Gaelic surnames with the word dubh, meaning black (ex. MacCiludy, Macildowie, MacGilledhuibh, meaning “son of the black lad”). Fifth, it could derive from the occupation or job of chimney sweeping, as the person who performed such a task would often be covered in soot, which is the color black. It is interesting to note that folklore states that Wulric the Black, the all of Hereward the Saxon, was so named because “on one occasion he had blackened his face with charcoal, and this disguised, had penetrated unobserved among his enemies, and killed ten of them with his spear before he made his retreat”. It is also possible it derives from the Old English word blac, which means pale or white, the exactly opposite of the words. In old Scots Latin documents, the name is spelled Niger (ex. Hugh Niger witness a charter in Angus in 1178 AD). It is interesting to note that the Clan Lamont Society asserts the Blacks were originally Lamonts who later changed their surname. 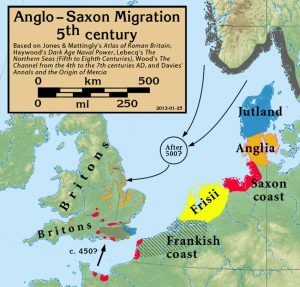 One author asserts that in England, the family was first established in county Lincolnshire, where they held land, manors, and titles for many generations, perhaps even prior to the Norman Invasion of 1066 AD. Here they were converted to Christianity by Paulinus (a Roman missionary who was the first Bishop of York, sent by Pope Gregory I to Christianize the Anglo-Saxons from their native paganism, died 644 AD) around 628 AD, and later moved north, becoming established in Scotland by the year 1175 AD. Some known spelling variants or names with similar etymologies include Blacke, Blake, and Blak. The name also is found in various other surnames, including, but not limited to, Blackman, Blackley, Blackett, Blackwell, Blackgrove, Blacklock, Blackburn, Blackford, Blackleach, Blacksmith, Blackston(e), Blackwood, Blackborn(e), and others. Similar foreign names include Blaak and Blak (Dutch). The last name Black ranks 160th in popularity in the United Status as of the 2000 Census. The name ranks particularly high in the following seven states: Utah, South Carolina, Georgia, Alabama, Pennsylvania, Ohio, and Wyoming. The surname Black frequency/commonness ranks as follows in the British Isles: England (186th), Scotland (44th), Wales (280th), Ireland (536th) and Northern Ireland (50th). In England, it ranks highest in counties Northumberland and Cumberland. In Scotland, the surname Black ranks highest in counties East Lothian and West Lothian. In Wales, it ranks highest in county Anglesey. In Ireland, it ranks highest in Donegal. In Northern Ireland, it ranks highest in Antrim. The name is also present throughout the remainder English speaking world: Canada (179th), New Zealand (102nd), Australia (132nd), and South Africa (661st). The 1890 book Homes of Family Names by H.B. Guppy, states the following in regard to this surname: “Amongst the old established Wiltshire families I may refer to that of Blake, which is at present best represented around Chippenham. There were Blakes in Warminster in the reign of Elizabeth, and they are still to be found there, and the name has been represented in Ludgershall since the beginning of the 17th century (H.). An influential family of this name owned Pinhill House in Calne in the 17th century”. The name was common in Prestwick in the fifteenth and sixteenth centuries AD, and was later very popular in Edinburgh in the seventeenth century. The earliest known bearer of this surname was Wulfhun des Blaca who was documented in the Old English Bynames Register in 901 AD. In Scotland, Luce Blake was tenant of land in Waldefgate, Berwick, around 1266 AD. The Hundred Rolls of 1273 AD, a census of Wales and England, known in Latin as Rotuli Hundredorum lists four bearers of this surname: Hamole Blake (Buckinghamshire), Reginald le Blake (Cambridge), Reyner le Blake (Norfolk), and Edericke le Blacke (Lincolnshire). A one William le Blake was recorded in county Somerset in 1327 AD in Kirby’s Quest during the reign of King Edward III of England. A one Margery la Blak was recorded in the Close Rolls in 1329 AD. Thomas Blaik was a notary in Thornhill in 1627. An early marriage involving this surname includes Allin Blake to Dorothy Peregrine at St. George’s Hanover Square in London in 1783. 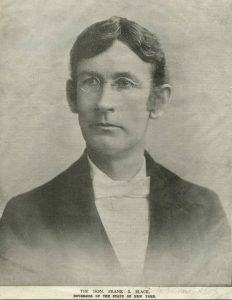 The Black genealogy of this branch of the family tree begins with Robert John Black, M.D., who was born in 1828, the son of John Black of Belfast. In 1853, he married Rosa Sinclair, daughter of William Neill Blow of Belfast, and had four sons and four daughters with her: William Neill (married May Anderson) Sir Robert James (1st Baronet), Ernest Henry (married Amy, daughter of H. Whitehorn of London), Walter Clarence (Major-General, married Hope Anderson, had issue), Rosallnda St. Clair (married Hugh Tulloch in 1886), Evelyn Agnes (married John Carrick of Glasgow), Gertrude Alice (married W. Whitehorn of London), and Lilian Annie (died 1939). 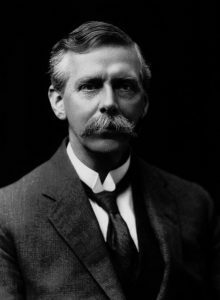 His third son, Sir Robert James Black, 1st Baronet, was born in 1860 and became the Director of the Mercantile Bank of India. In 1890, he married Ellen Cecilia, daughter of General W. Paget La Touche, and had children with her as follows: Robert Andrew Stransham (2nd Baronet), Dorothy Rosalinda Frances (married Captain James Archibald Lochnell Campbell of Jura, Argyll and Sutherland Highlanders, had daughter named Cecilia Elizabeth Lochnell), Muriel (married Jack E. Addinsell), Marjorie Rhodna Cecilia (married Reginald Michael Currie), and Gladys Mary (married Colonel Leonard Geoffrey Holmes of Brighton). He died in 1925 and was succeeded by his son. Sir Robert Andrew Stansham Black, 2nd Baronet, of Midgham, county Berkshire, England was a Justice of the Peace and High Sheriff in 1934 who was born in 1902 and succeeded his father in 1925. He was a Major in the 99th Field Brigade of the Royal Army. In 1927, he married Ivy, daughter of Brigadier-General Sir Samuel Wilson, and had a son with her named Robert David, who was born in March of 1929. The Black Coat of Arms (erroneously called the Black Family Crest) is blazoned in heraldry as follows: Argent, a saltire, between two crescents in pale and as many mullets in fesse gules, on a chief of the second three trefoils slipped of the field. Crest: Issuant out of clouds a demi-lion rampant proper, charged on the shoulder with a trefoil vert, and holding in paws a fylfot sable. They resides at Elvendon Priory, Gording, near Reading, on Oxon, England. Daniel Black was born in Dunbar, East Lothian, Scotland around 1628 AD. He married Faith Bridges and had the following issue with her: Margrett, Daniel Jr., William, James, Mehitable, John, Edmund, Josiah and Tetrius. He came to colonial America. His son James Black was born in Boxford, Essex County, Massachusetts in 1669. He married Abigail Johnson and Mary Barker and fathered the following children: Edman, James Jr., John, Josiah, Abigail (Sessions), and Daniel. His son James Jr. was born in Boxford, MA in 1705. He married Merebe Lull and had the following issue with her: Sarah, Benjamin, Meribah, James Jr., Edmund, and James. His son Edmund was born in Haverhill, MA in 1734. He married Sarah Lufkin and had the following children with her: Hepshibah (Whittier), Sarah, Edmund, Jonathan Lufkin, Abigail, James, Hannah, and Moses. His son James Black was born in the same town in May of 1770. A one John Black was born in Edinburg in 1500 AD in Edinburgh, Scotland. He married Jane Rawson and had a son with her named John. This son John was born in Aberdeen in 1533. He married Janet Cook and had the following issue with her: Helen, Margaret, Thomas, Marion, Janet, and John. His son Major John Black was born in Canongate , Midlothian, Scotland who was the son of Janet Cook. He married Elizabeth Bessie Locart and had two children with her: John Sr. and Margaret. His son John Black Sr. was born in Canongate and he married Janet Osbourne in 1618 and had three sons with her: John, Daniel Ian, and William. 1) John Black of Charlestown, Massachusetts, 1634, who had a wife named Susanna. He was likely in Salem, MA in 1636. He probably had children, including a son named John. A one Andrew Black owned 20 acres of land and 14 slaves in parish of St. Andrews, Barbados in 1679 AD. 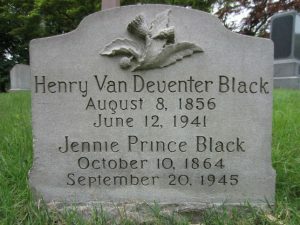 Other early settlers in colonial America bearing this surname include Edward Black (Virginia 1637), Henry Black (Massachusetts 1645), Richard Black (New England 1645), Daniel Black (Boston 1652), Jacke Black (Virginia 1657), Eliza Black (1702), Abraham Black (Virginia 1713), Jacob Black (New England 1718), and Thomas (Virginia 1740). In Canada, one of the earliest settlers bearing this last name was William Black, who came to Nova Scotia in 1750. In Australia, one of the first bearers was Thomas Black, a carpenter, who came to New South Wales (then a penal colony) around 1830. In New Zealand, Andrew Black came to the city of Wellington in 1840. 1) Argent a saltire sable a mullet in chief and a crescent in base of the second. Motto: Non crux sed lux Bookplate Henry Van Deventer Black. 2) Argent on a cross sable between in chief a mullet and escallop and in base an escallop and mullet gules a crescent of the first. Motto: Deus vivat Bookplate Rt. Rev. Jas. Black, protonotary apostolic and chancellor, Archdiocese of Oregon City, by P. de C. la Rose, 1924. Crozier’s General Armory (1904) and Matthew’s American Armoury and Bluebook (1907) do not contain any entries for this last name. We have 12 coats of arms for the Black surname depicted here. These 12 blazons are from Bernard Burke’s book The General Armory of England, Ireland, and Scotland, which was published in 1848. 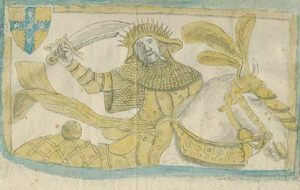 The bottom of this page contains the blazons, and in many instances contains some historical, geographical, and genealogical about where coat of arms was found and who bore it. There are hundreds of notable people with the Black surname. This page will mention a handful. Famous people with this last name include: 1) Sir Arthur William Black (1863-1947) who was an English lace manufactures from Nottingham who was a Liberal politician who held a seat in the House of Commons from 1906 to 1918, 2) Ben Black (1889-1950) a composer of popular music and an impresario who was born in Dudley, England and was music director at Paramount Pictures in the United States, 3) Catherine Black who is an Canadian stage, TV, and film actress from Ontario who is best known for her roles in American Psycho and The Donner Party, 4) Charles Alden Black (1919-2005) who was a Lieutenant Colonel in the United States Navy who served in World War II and the Korean War, as we;; as a businessman who married Shirley Temple, 5) Conrad Moffat Black, Lord Black of Crossharbour, who was a Canadian-born British newspaper publisher and author who born in Montreal, Quebec and became a non-affiliate life peer, 6) David Black (1892-1926) who was a pitcher in Major League Baseball, born in Chicago, Illinois, who played for three different teams (including the Boston Red Sox) from 1914-1923, 7) Eugene Robert Black (1873-1934) who was the 6th Chairman of the Federal reserve from 1933-1934, 8) Eugene Robert Black Sr. (1898-1992) who was President of the World Bank from 1949-1963 who was born in Atlanta, Georgia, 9) Edward Black (1852-1972) who was the youngest soldier to serve in the American Civil War who was recruited as a drummer for the 21st Indiana Infantry at the age of 8, 10) Fischer Sheffey Black (1938-1995) who was an American economist and Harvard Graduate born in Washington, D.C., who is most well-known for the Black-Scholes equation, and 11) Frank Swett Black (1853-1913) who was the 32nd Governor of New York and a former member of the United States House of Representatives. Three common symbols in the Black Coat of Arms (mistakenly Black Family Crest) marlet, peclican in piety, and boars’ head, each of which has a unique meaning. The martlett is by far the most common bird to appear in British Heraldry, perhaps only equalled by the eagle, however it is not a species ever to be found in an ornithologists handbook! The word itself is though to have come from the French word merlette, the female blackbird and itself a similar type of charge used in French Heraldry. Over time the image has become quite stylised, without visible legs or distinctive feathers. Wade suggests that this representation arises from “the appearance of the bird of paradise to ancient travellers”. Other bird species may be named in coats of arms (cornish chough is a frequent example) but in actual execution their appearance is often indistinguishable from the martlet. The pelican is often associated with parenthood and “devoted and self sacrificing charity”. It is almost always shown with its young in their nest (in its piety) or pricking its breast in readiness to feed its young with its own blood (vulning herself). In the middle ages, the wild boar, a far more fearsome creature than its domesticated relative, the pig was a much more commonly seen animal than today. It was also known as a sanglier. It can appear in many of the same poses that we see for the lion, but has its own (easily imagined!) position known as enraged! We should not be surprised then that this “fierce combatant” is said to be associated with the warrior.